Kushner, Greenblatt, Hook meet in Oman with sultan, discussing "efforts to facilitate peace," "ways to improve condition of entire region." Senior Advisor to the President Jared Kushner, Special Representative for International Negotiations Jason Greenblatt, and United States Special Representative for Iran Brian Hook met in the Sultanate of Oman with Sultan Qaboos bin Said al Said on Monday, the White House said. 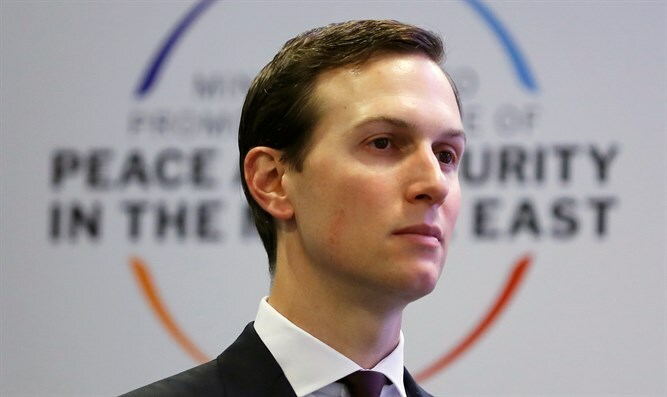 In an interview with Sky News in Arabic broadcast on Monday, Kushner said that Arab countries supported the direction of the US proposal for peace between Israel and the PA.
"The conflict between Israel and the Palestinians has been used for many years to incite and radicalize, when hatred of Israel united all the countries in the region. Today that has changed because of Iran, which is the greatest threat to the entire region and unites all of them," Kushner asserted.